Your personality. What are your design likes and dislikes? Consider these carefully before choosing a design style—after all, you’re the one who will be living with it! Do you prefer a classic, clean look or a fun, colorful theme? If you love the beach, consider a beach cottage theme. If you’re more into the cozy cabin feel, there are many ways to implement that into your home. The best first step is to think about what attracts you to a living space and incorporate that into your design style. Your space. Consider the space you’ll be decorating—is it large or small? Will there be a lot of natural light? What are the space’s advantages and drawbacks? Modern design styles are great for smaller spaces—the clean lines, geometric shapes, and light colors help to open up a space. If space and light are not an issue, you may go for an Old World or Asian design style. Your budget. Make a firm budget for your decorating endeavor and stick to it. Some design styles, such as contemporary, may be more expensive than others, such as eclectic. Be sure to put money aside for the bigger expenses such as sofas, beds, tables, bookshelves, chairs, and other furniture an apartment needs. Lastly, it’s important to ensure that your garage door is functional before you begin decorating. 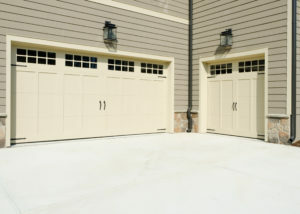 Savvy homeowners have their garage doors inspected regularly. If there are any problems at all with your garage door, or if it needs total replacement, call the experts of Ponderosa Garage Doors & Repair at (503) 730-0444, and be sure sure to check out our Special Offers page for current deals you can take advantage of.